The 25-passenger minibus is one of the largest options for group travel. If you’re looking to minimize rideshare expenses and avoid public transportation, this bus is your best bet. Since it’s important to keep your unit together as you make your way to the event, the 25-passenger minibus guarantees that everyone stays together. 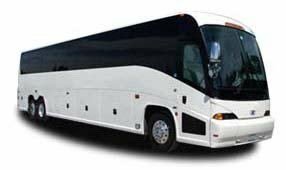 NYC Charter Bus Company has access to a vast network of drivers and buses, and we ensure you get the services you need. We take pride in providing fast, efficient support, and we handle a variety of events such as corporate gatherings, weddings, sports competitions, school outings, and more. Contact us at 212-756-1283 to learn more about how we can assist you for your upcoming event.